I love each and every one of my clients. Every now and then, I also enjoy creating something just for fun! I met up with several other Maine photographers this summer and we asked a few of my favorite past clients to model for us! 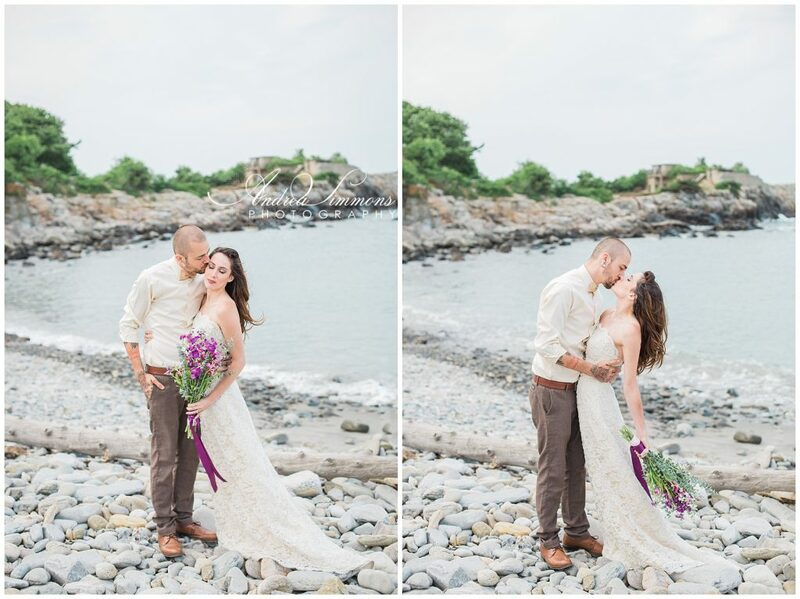 I traveled down to Fort Williams and Portland Headlight in Cape Elizabeth, and we wandered around and found the most perfect lighting. I actually made the bouquet myself, just by combining some flowers from Trader Joe’s and wrapping some ribbon around it! I hope you enjoy these photos as much as I do! And thank you so much to our model, Dustin and Allison Tribou, and Emily Levasseur!